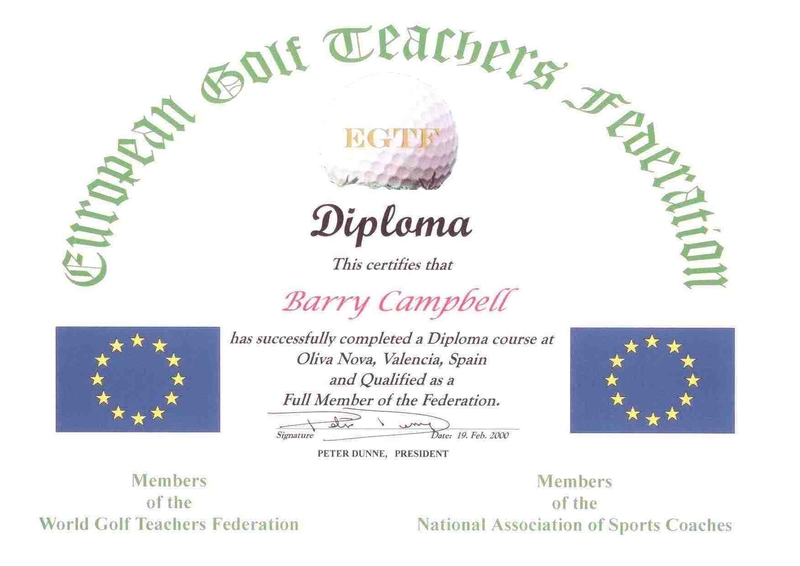 As Barry is a member of the EGTF (European Golf Teachers Association) he is well versed in teaching Golf to all skill levels. 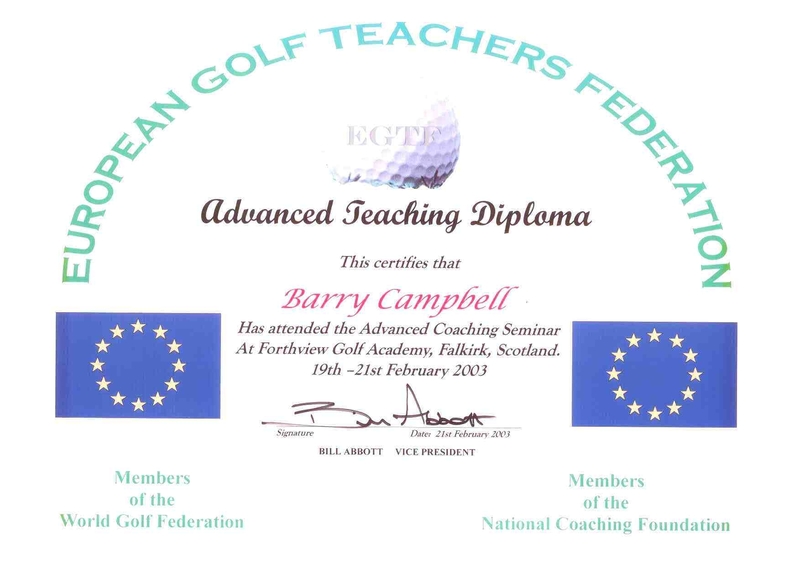 Barry is a renowned junior coach and has a fantastic track record in nurturing beginners through to competition winners. In 2012 /13 Barry’s success in coaching has paid off for his young students and now boast of a County Champion, a Scottish Junior Order of Merit winner, 2 boys reaching the finals of the Scottish Junior Masters with one a top ten finalist, a Turnberry Open winner and 3 players in the County Boys team. All this within a two year period and Barry was an integral part of our award winning Scottish Junior Club of the Year Award; he played his part more than anyone devoting his time and knowledge to the Club. Why waste money on inferior teachers that only care for your hard earned cash that just go through the motions with you. You can be assured that Barry will improve your game whatever level you play the game. 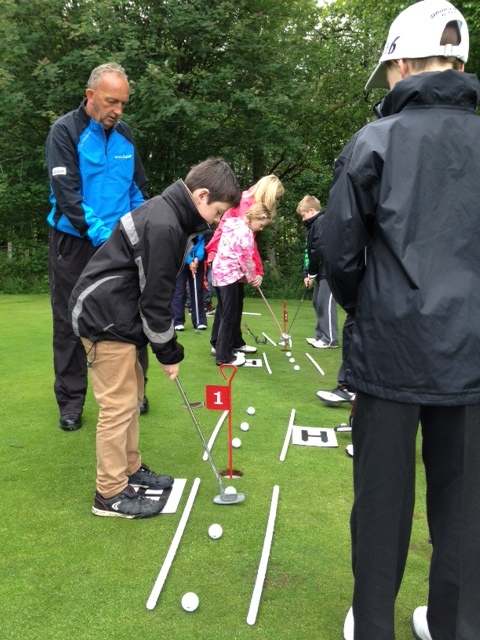 Club Golf for Juniors is a major passion for Barry, nurturing the young golfer of tomorrow from beginner to scratch status and Barry loves nothing more than seeing his students progress to future champions. Group or individual lessons can be arranged through Barry at the Club. Club repairs and re-gripping can be undertaken by arrangement and Barry also has a selection of equipment for sale at the clubhouse.